Heat oil in a pot over medium heat. Add onions, sweat until tender and translucent, approximately 10 minutes. Add 2 tablespoons of honey, mix to incorporate until onions are caramelized and golden, approximately 2 minutes. Deglaze with balsamic vinegar and wild blueberry juice. 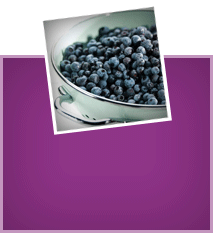 Stir in wild blueberries and simmer until mixture has reduced to a sauce consistency, approximately 8 minutes. 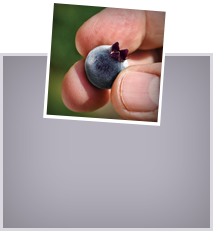 Season wild blueberry chutney with salt and pepper and remove from heat. Set aside to cool until serving. In a small bowl, mix garlic, honey, mustard and balsamic vinegar together. Season with salt and pepper. Whisk in olive oil and set aside until assembly. Place arugula, lettuce and carrots in a bowl and place in fridge until assembly. Place the flour, eggs and breadcrumbs in individual, high-sided dishes. Heat oil in a non-stick sauté pan over medium-high heat. Line a tray with paper towel. Dredge each wheel of Camembert, one at a time, in flour and shake off excess. Coat Camembert in egg wash, followed by breadcrumbs. Gently place breaded Camembert in heated sauté pan. Once cheese is golden, approximately 2 minutes, flip and continue frying on other side until golden. Remove baked Camembert from pan and place on paper towel lined tray. Repeat process with remaining camembert. Place each baked Camembert on a plate. Dress salad with balsamic vinaigrette and arrange on each plate. 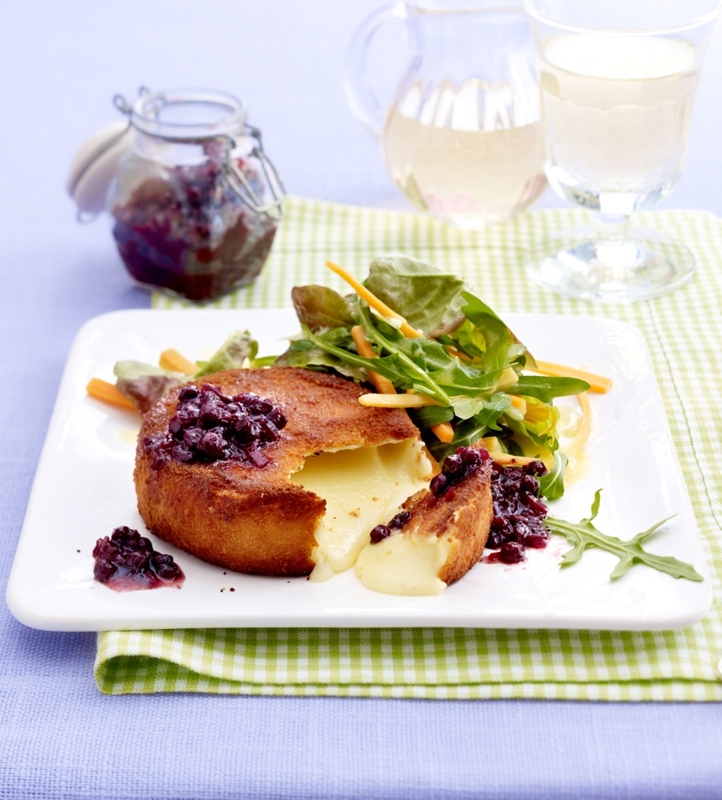 Spoon wild blueberry chutney over baked Camembert and serve immediately.